Drop that packet of chips – reach for the crackers instead, right? Not so fast – weight for weight, some crackers have more saturated fat and sodium than a packet of chips and that’s before you add any toppings. Each year Kiwis spend more than $146 million on crackers and rice crackers in supermarkets alone. But which should you choose? We looked at 90 packets of crackers and were able to calculate health star ratings for 75 of them. We found nearly a third only got a rating of 2 stars or less. Dietitian Gemma Dunkley says these products, which tend to have higher levels of saturated fat and sodium, and lower levels of fibre, should only be eaten as occasional treats (no more than once a week). New Zealand Nutrition Foundation CEO Sue Pollard recommends the health star rating system as an easy way to compare similar products. 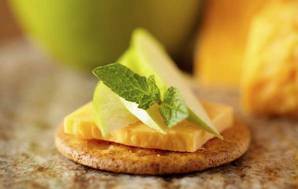 “The wide range in the cracker ratings means consumers can choose healthier options. However, we hope more companies will soon use the ratings on their products, rather than consumers having to rely on the nutrition information panel,” Ms Pollard said. Just one of the crackers in our survey – Arnott’s Vita-Weat Lunch Slices Mixed Grain & Toasted Sesame – had a voluntary health star rating. The health star rating calculator and our survey compared crackers per 100g, even though you typically won’t eat that much in one go. Manufacturers decide their own serving sizes so they differ between types of crackers and brands. For example, Arnott’s Cruskits Rye states one serving is 12g, or two crackers, and Peckish Rice Crackers has a serving size of 20g or five crackers. One cracker in our survey got a rating of 5 stars. 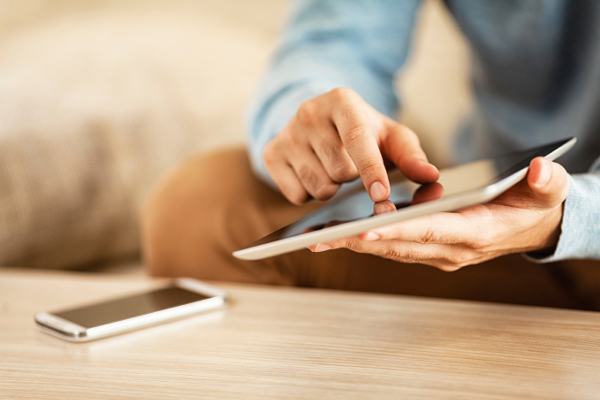 Become a paying Consumer member or log in to find out more. Cracker packets are splashed with claims that make them seem like a healthy snack but should you believe the hype? We found this claim on lots of crackers and it sounds good – we all know fried means fat. But don’t be tricked into thinking these baked products are automatically a healthy choice – they can still contain as much fat as fried products. Arnott’s Shapes Cheddar make this claim but with more than 20 percent fat and high levels of saturated fat, it’s not the healthiest option for your afternoon snack. Griffin’s Original Snax Crackers claim it’s 100% Kiwi baked but this doesn’t stop it packing 27 percent fat, 13 percent saturated fat and high levels of sodium. Select Brown Rice Crackers and Peckish Rice Crackers say they’re cholesterol-free, but this claim isn’t as impressive as you might think. Most crackers are cholesterol-free because they don’t have any animal fats (the exception may be some cheese-flavoured crackers). Also, the amount of cholesterol you eat has little effect on your blood cholesterol levels, it’s more important to cut back on saturated and trans fats. From January 2016, under the Food Standards Code, cholesterol claims will only be allowed on products that meet the conditions for a nutrient content claim about low saturated and trans fatty acids. Pams Garden Vegetable Light & Crispy Crackers make this claim. But when you read the fine print in the ingredients list you’ll see there’s only a miserly 4 percent dehydrated vegetable flakes. Plus it’s high in fat, saturated fat and sodium and only manages 1.5 stars. Become a paying Consumer member or log in to find the highest-rating crackers in our survey. Become a paying Consumer member or log in to find the lowest-rating crackers in our survey. We’d like the health star rating system to be mandatory. This would make it easier for consumers to make healthier choices. Ignore the packaging claims and stick with the nutrition information panel on the pack when comparing crackers. Also use the 100g figures as serving sizes differ between products. Crackers should be eaten in moderation. Just because a cracker might be a healthier choice it doesn’t mean you should be eating half the packet! Health stars were calculated using the Australian Department of Health’s health star rating calculator. NC = not calculated because there was insufficient information available (see “About our survey”). Fat, saturated fat, sodium, and fibre figures are from label information or provided by manufacturers. NS = not stated and not provided by the manufacturer. We bought all the main types of crackers from supermarkets (although not every flavour) - 90 packets in all. We calculated the health star rating using the calculator provided by the Australian Department of Health. The health star rating system is a voluntary front-of-pack label designed to give “at-a-glance” information about the nutritional value of a packaged food. The ratings are based on 100g or 100ml of the product and range from half a star to five stars – the more stars the better. Different thresholds are used for beverages, dairy products, oils and spreads, and cheese products. It wasn’t always possible to calculate a health star rating from the product’s nutrition information panel and ingredients list. For example, information on the amount of dietary fibre and the percentage of seeds isn’t required (unless a specific nutrient claim is being made for the product or seeds are the characterising ingredient). Where information was missing, we contacted the manufacturer to fill in the gaps. In some cases the manufacturer was not able to provide the information. As well as calculating a products's health star rating, we use "traffic light" symbols to show its levels of fat, saturated fat and sodium. If you see a red light, you know the food is high in something you may be trying to cut down on. Green means the food has low amounts of it; orange fits somewhere in between. The cracker may be the least of your worries if you’re topping it with unhealthy toppings. Butter and full-fat cheese adds lots of fat, saturated fat and sodium to your mid-morning snack. Most pickles, relishes and chutneys contain lots of sodium or added sugar. Healthier choices include tomato, avocado, hummus and low-fat dairy products like cottage cheese. Remember you’ll also use a lot more topping covering a Cruskit than a Snax cracker.